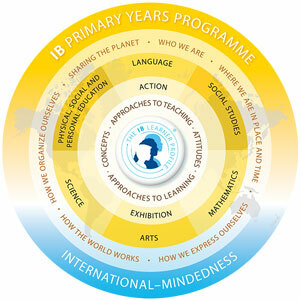 The International Baccalaureate Primary Years Programme (PYP) is aimed at students aged 4-11. The programme is designed to foster the development of the whole child as a thinker and inquirer, both in the classroom and in the world outside. The PYP endeavours to develop internationally-minded students. We encourage students to become life-long learners and equip them with the academic and life skills to enable them to actively choose to be world citizens. Teachers from IB schools in various parts of the world explain the PYP in this great film. 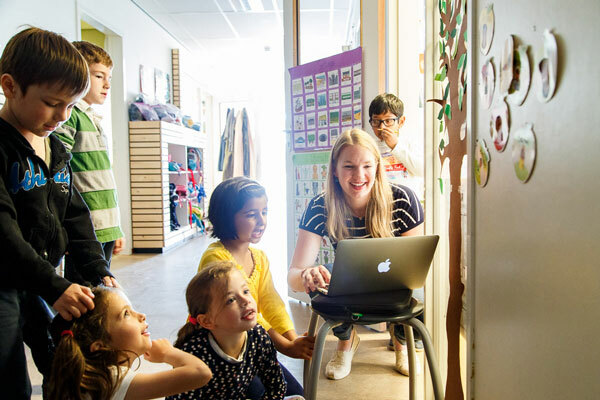 At the heart of the PYP are the learner profile attributes: inquirer, knowledgeable, thinker, communicator, principled, open-minded, caring, risk-taker, balanced and reflective. These attributes are a set of ideals, which aim to promote intercultural understanding and the belief that other people with their differences can also be right. The PYP strongly promotes constructivist, conceptual and inquiry-based learning. This allows learners to explore their own questions, construct new knowledge and transfer these ideas to a conceptual level of understanding. Traditional academic subjects are part of the programme, however we teach them in multi or interdisciplinary lessons under transdisciplinary themes. This way we emphasise the interrelatedness of knowledge and skills. Please view the Programme of Inquiry for the 2018-2019 academic year, as well as the PYP language syllabus and math syllabus.